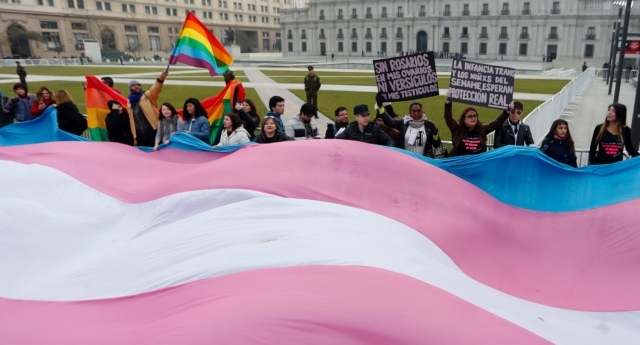 Trans people in Chile can now change their gender on official documents after a landmark law for human rights came into effect in the staunchly conservative country. Chilean president Sebastian Pinera signed the bill into law on Wednesday (November 28), which allows trans people above the age of 14 to update their name and gender on official records. The law marks a progressive shift in Chile, which is strongly Roman Catholic and became one of the last countries in the world to legalise divorce in 2004. Human rights groups praised the passing of the “historic” trans rights law in the traditionalist country, where abortion remains illegal except for under special circumstances. The bill was introduced nearly five years ago by former president Michelle Bachelet. It eventually passed in September after years of debate, following opposition from religious and conservative groups. The law requires children aged 14 to 18 to get parental consent to change their gender on official documents. LGBT+ Chilean rights group Fundación Iguales lobbied for the passing of the trans law for years. Juan Enrique Pi Arriagada, executive president of Fundación Iguales, said that the legislation marked a forward step for trans rights in the country. “The rights that were excluded from transgender people in Chile are being acknowledged at last,” said the executive president. “After years of fighting to ensure their legal recognition, we celebrate this historic triumph that will change the lives of many of those who, for far too long, lacked protections and lived in the shadows. The Human Rights Campaign lauded the new law as a landmark moment for trans rights in the country. “This historic decision marks a milestone for LGBTQ rights in Chile and in South America,” said Ty Cobb, global director at Human Rights Campaign. “We commend the efforts of all the LGBTQ advocates involved, including our Chilean partners at Fundación Iguales, who worked tirelessly for five years to achieve this victory.